F-16 pushes to impress with it's off-road capabilities. New F-Series Sports Skins! Order Now With A Choice Of Charcoal & Coloured accents including, Green, Orange and Chrome! Dreamseeker Now Available In 2 Locations in WA! Brand New F-16 Falcon, Off Road Family Bunk! 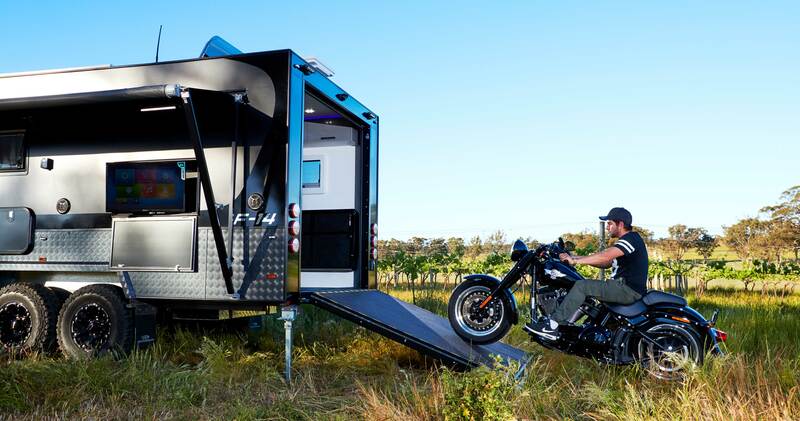 F1 & F14 participate in the Caravan Worlds Magazines 'Best Aussie Vans' competition. 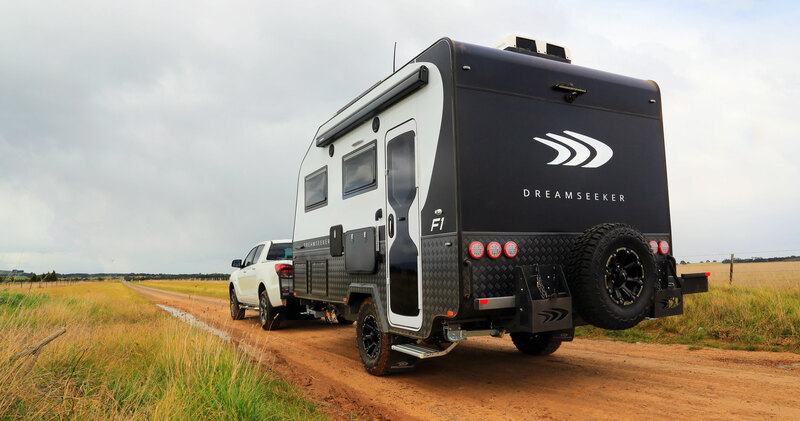 Dreamseeker Caravans launches the all new F-Series at the Melbourne Leisurfest Show.